RM Sotheby's kicks off its 2018 European calendar in spectacular fashion with a return to Paris, 7 February, for its fifth annual sale during the world-famous Rétromobile show week. Held at the historic Place Vauban in the city's centre, the stunning grounds offer the perfect setting to present the finest sports, racing, and touring cars from both pre- and post-war periods. The car-collecting world showed up in force in Paris in 2017, and the company achieved a gross sales total of €27,576,400 ($29,451,595 USD)*—the best-ever result for the Rétromobile week auction. The star lot of the night was the beautiful 1934 Alfa Romeo Tipo B P3, and it fully deserved its achieved €3,920,000. The second biggest seller of the night was the 1973 Ferrari 365 GTB/4 Daytona Spider, which attracted huge attention and generated a €2,156,000 top bid. 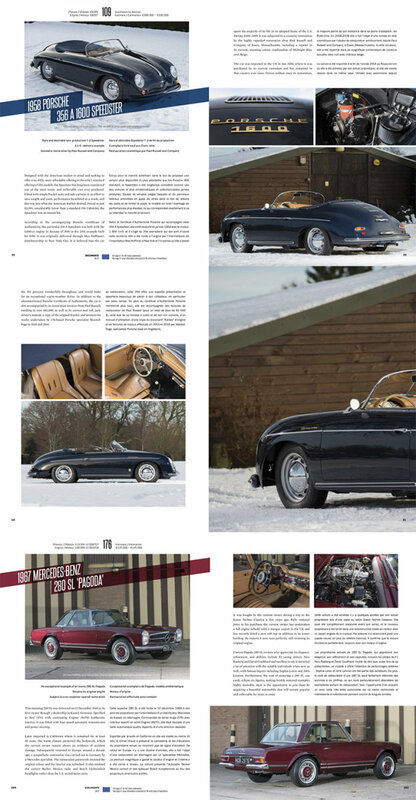 Both of these German classic cars were in immaculate condition, the challenging one was the Porsche 356A Speedster as it was in the midst of some heavy snow that took place in the Chilterns, although take in the UK it does give the car an Alpine feel due to the weather. All of the images were lit with the flexible Profoto flash systems, having built in battery packs and no cables gives you complete control and freedom of where you can place the lights.